Three experiments explored the learning of categories where the training instances either repeated in each training block or appeared only once during the entire learning phase, followed by a classification transfer (Experiment 1) or a recognition transfer test (Experiments 2 and 3). Subjects received training instances from either two (Experiment 2) or three categories (Experiments 1–3) for either 15 or 20 training blocks. The results showed substantial learning in each experiment, with the notable result that learning was not slowed in the non-repeating condition in any of the three experiments. Furthermore, subsequent transfer was marginally better in the non-repeating condition. 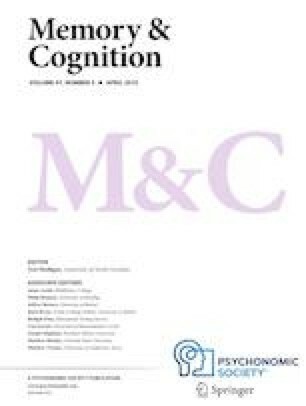 The recognition results showed that subjects in the repeat condition had substantial memory for the training instances, whereas subjects in the non-repeat condition had no measurable memory for the training instances, as measured either by hit and false-alarm rates or by signal detectability measures. These outcomes are consistent with prototype models of category learning, at least when patterns never repeat in learning, and place severe constraints on exemplar views that posit transfer mechanisms to stored individual traces. A formal model, which incorporates changing similarity relationships during learning, was shown to explain the major results. We would like to thank Steve Goldinger and Fief Gunersoch for their comments on an earlier version of this manuscript, and LaMista Johnson, Tiffany Coor, and Rose Halterman for assisting with the data collection. Publisher’s Note Springer Nature remains neutral with regard to jurisdictional claims in published maps and institutional affiliations.